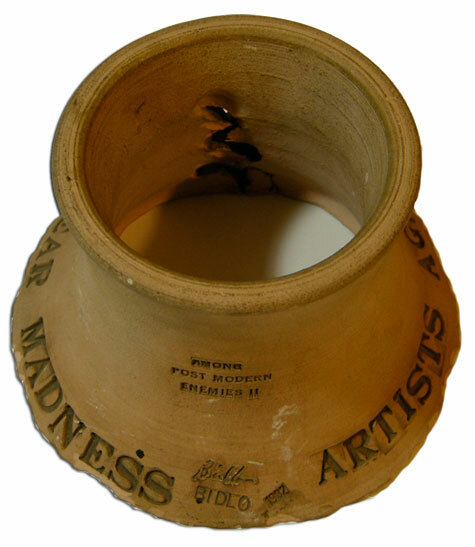 Mike Bidlo, “Artists Against Nuclear Madness,” 1980; ceramic, 6 in. (diameter); 4 in. (height). 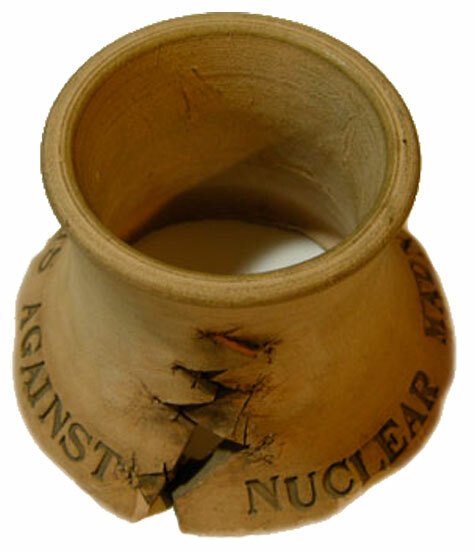 This small scale ceramic multiple was made for a show entitled Artist Against Nuclear Madness. It shows a damaged nuclear plant and was inspired by the accident at Three Mile Island that took place in March 1979.